Understanding Diatomaceous Earth (DE) in its most simplest and practical forms is necessary in order to dispel the countless myths about it being harmful. I'm going to break this down for you as simple as possible because it's a mineral that's now becoming one of those "Either you love it or hate it" type of substances. I believe, once you understand Diatomaceous Earth, you will try it, love it, and embrace its countless uses in practically all aspects of life. If you don't know what Diatomaceous earth is, I'm going to explain it a little bit here, but I have other facts, and videos as well, on my What is Diatomaceous Earth pages. Many of you know that I use DE in my garden, worm bins, farm animals, myself, and many other facets of life. I literally can't imagine my life without it anymore. 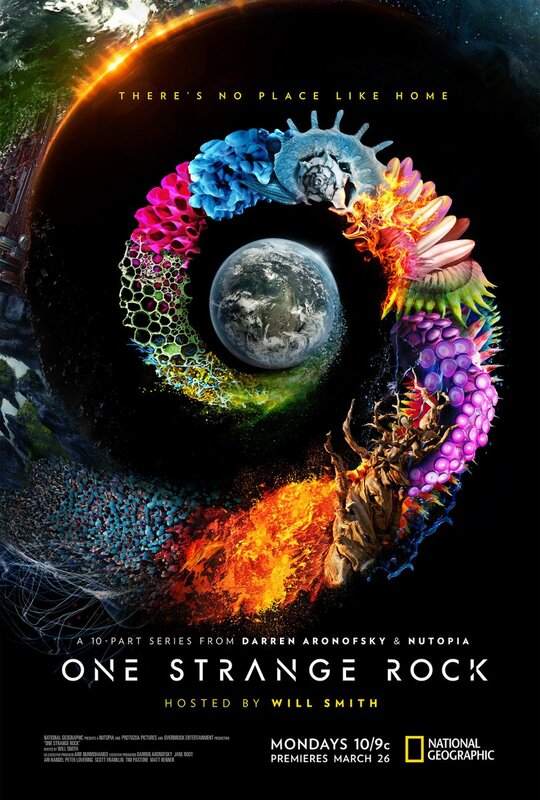 Have you watched National Geographic's new series One Strange Rock (purchase) with Will Smith? It's a look at our world from the perspective of 8 astronauts. 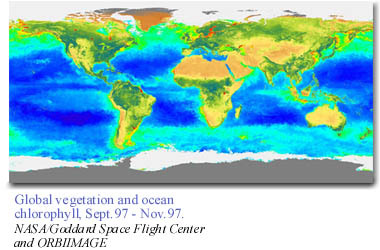 A bird's-eye view (if you will) from space at how EVERYTHING is connected and lives in harmony (much like the soil). I believe it was the second episode - In Will Smith's words, "I used to think that all of the Earth's oxygen came from the Amazon jungle. It turns out, what oxygen the Amazon creates, uses most of it in the Amazon jungle". Diatoms are plant-like microbes that live in oceans, fresh water lakes, and just about any and everywhere imaginable. Diatoms come in many different shapes, and because they are found in oceans, astronauts can see them by the trillions in the arctic circle like algae or phyto-plankton. Since diatoms are plant-like, they expel oxygen in the form of small to microscopic bubbles all around the world. They are so numerous. When they die, they pile up on the floor of oceans and lakes by dozens of feet and even more. Scientists take core samples of diatoms (PDF) in the Great Lakes. Diatoms have a skeleton made of silica. When a diatom dies, around 7-14 days, the body rots away leaving its skeleton behind. The skeleton resembles the form of Rice Chex cereal but in many different shapes, depending on the species. This renders Diatomaceous Earth (or the remains of a single diatom) extremely porous. Because diatoms make their own skeletons out of silica (from volcanic ash, minerals already in the water, etc) makes this form of silica unlike other forms. 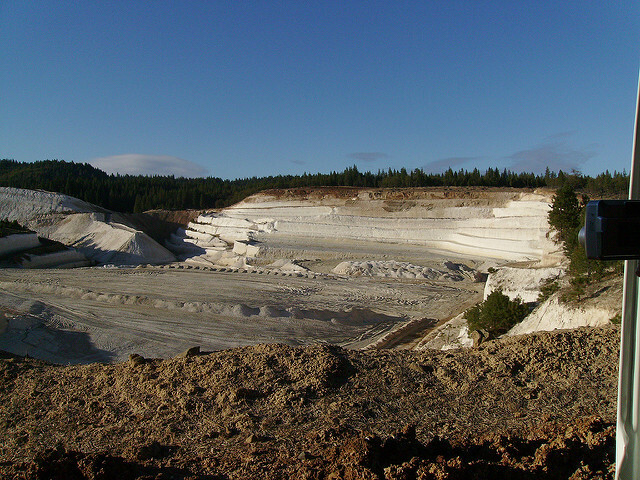 Silica exists in sands, volcanic ash, Azomite, etc. It's a solid form of silica, like tiny or microscopic rocks. DE is already a microscopic dust and doesn't need to be ground to a finer mesh. It's mined from ancient, dried up lake beds, ran through filters, and DE is heated to kill any harmful organisms that might be dangerous to ingest in certain foods it's added to that we ingest. Of course it's FDA approved and if companies are going to add it to foods we eat, it must contain the Food-Grade label. People eat DE? I thought it was like "shards of glass?" The #1 myth about DE - "It's like tiny shards of glass!" Again, it's only a mineral, silica, and not glass-like. It comes from a harmless, beneficial plant. If you were to grind eggshells to a fine powder, eat them, and rub them all over your face and hands, it would almost be the same. Ingesting DE is as harmless as ingesting calcium tablets. Many have said that DE Kills insects by cutting away their exoskeleton like shards of glass. Because DE is extremely porous, it's highly absorptive. It absorbs the waxy cuticle protecting an insect from losing hydration. Because the insect knows (instinctively) DE is lethal, some insects might decide to rub it off. This is more like sand paper removing the waxy cuticle and not shards of glass cutting deep into its fleshy body, like a horror show. I've seen insects do both, scratch and not scratch. Eventually they die. Most insects, like ants, will just avoid the irritating powder, unless you douse them with it. I hope you're understanding Diatomaceous Earth a little better as a beneficial mineral. Let's continue. Myth #2 - DE is Ineffective When Wet. Okay, this can be true but not entirely. It depends on what your use for DE is. Using DE when wet is actually how I use it the most. DE IS harmless to insects if it remains wet. The insect will never dry out nor the DE absorb the cuticle if the environment is constantly moist. However, if used for the silica and 14 beneficial trace elements are your purpose, then it is DEFINITELY effective. Silica is important for all life. Even as a mineral supplement in capsules or beverages. "life can not exist without Silica". "Silica is the most important trace element in human health". 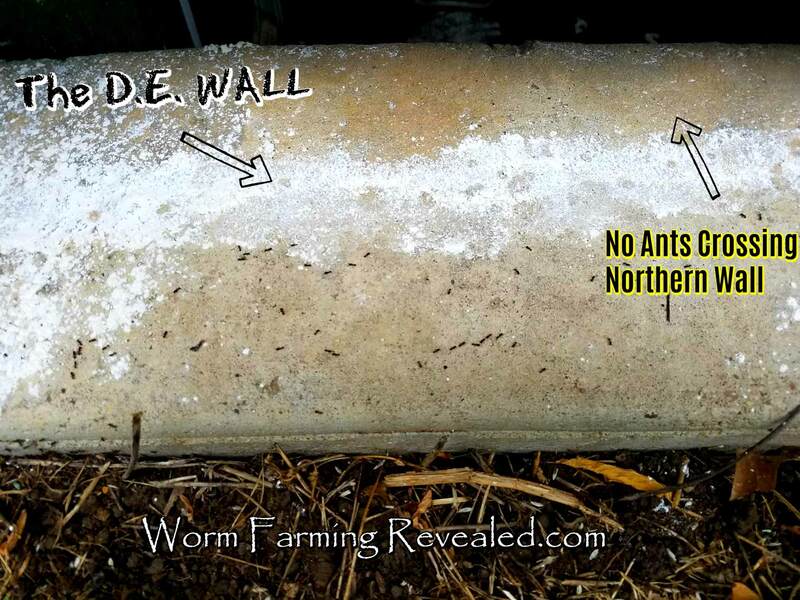 This is one of the reasons I use Diatomaceous Earth in the worm bin and in the garden. 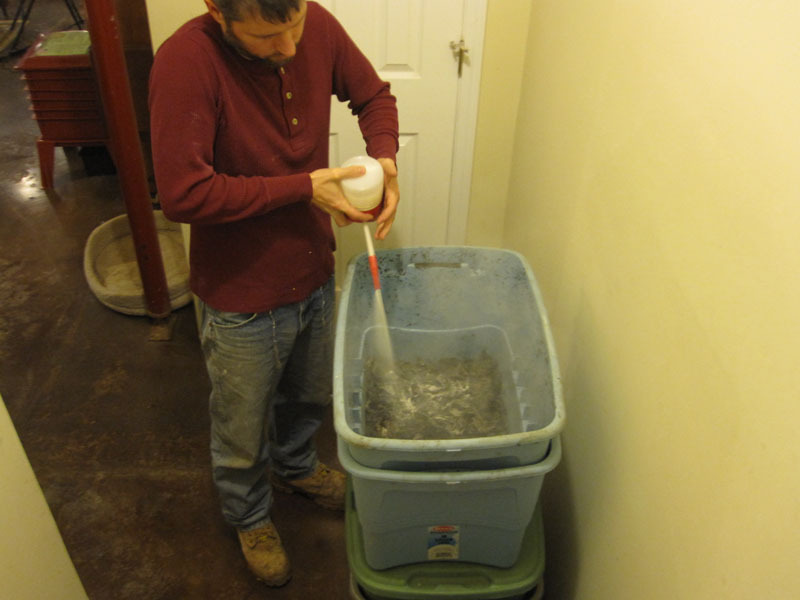 Using Diatomaceous Earth in a Worm Bin. Because DE pretty much IS silica, not only gives the worms trace minerals, but also to the microbes and other organisms in a worm bin. Keep in mind that a worm bin is a moist environment. A worm doesn't need to come into contact with the dry form of DE to die. It only needs to venture out of it's home. Outside in a dry element is certain death for any worm if it can't make it to other moist conditions. Dry DE will of course expedite this exponentially, but this is never an issue nor the purpose of DE in a worm bin when using it for nutrition. Another purpose of DE in a worm bin is for the worm's gizzard. Like a chicken needing to swallow small stones to help grind food, much is the same for worms consuming DE. DE will also help the worm farmer to get rid of unwanted, over populations of pests. Place a dry sheet on top of the bedding and sprinkle with DE. Many pests will succumb to the dust and die. Only use in rare circumstances for this purpose. Avoiding over populations in the first place is the best practice. This can be easily accomplished by simply maintaining your carbon to nitrogen (C:N) ratio of 20:1, or slightly lower and even much higher carbon forms can be crucial. Consuming DE by humans and animals. Remember the small porous holes throughout DE? When ingested, parasites can become trapped within the porosity of DE and exit the colon. Along with containing silica and other trace minerals, DE will scrape the colon walls and help rid the body of built up toxins. DE has the ability to grow strong hair, teeth, nails, bones, and even turn into calcium. Silica AND Magnesium have the ability to help our bones calcify. It will also grow healthy skin with stronger cell walls. Remember, DE started as plant life and died as a mineral (if you will). Since DE is from microscopic diatoms, it can also be consumed by other microbes, especially nematodes, protozoa, and fungi. Remember again, diatoms are EVERYWHERE, just not in abundance like other places, especially our gardens. When silica and other minerals are consumed by bacteria and other microbes, it's in such colloidal form that the plant will consume the microbes, therefore consuming the minerals. This makes the plant contain these minerals in such a balanced and nutritious form which makes it healthy for the plant and all that consume it. The way I look at it, the diatom started as a plant and will end up in a plant, then be consumed by us. When DE is added to the soil, or even compost teas, is boosts the overall health of microbes and plants. We want our plants as healthy and leaves as green as possible. The dark leaves absorb the light, helping it to photosynthesize better, rather than lighter pigmentations of the leaves. Lighter foliage will aid in reflecting the light. The plant will not absorb the needed energy. So, healthy soil leads to darker leaves which lead to bigger foliage that leads to bigger and/or abundant fruit. If plants had skeletons, it would definitely be due to the "one-celled wonder..." The Diatom. So, using DE when wet has just as much benefits as it does when dry. I'm all about safety, but sometimes wearing a mask is not needed and using Diatomaceous Earth is not at all dangerous as many people claim. Did you see the people above walking through the Diatomite mines. Yeah! Remember that. You should always wear a mask if you have sensitive lungs and especially on a windy day. See my page on using DE safely, especially when bees will be around. DE is much like any other mineral dust, baking flour, baking powder, or dust in general. If you accidentally inhale some, it'll make you cough. No doubt I'm sure I have inhaled it somehow, as I have many other forms of dust, as discussed above. If I have, I've never felt anything. It CAN be dangerous, like I said, if you are extremely vulnerable to dust. In all my years I have never worn a dust mask and I never use on a windy day either. I use it in my house and outdoors almost daily. My animals ingest it on a daily basis and definitely come into contact with it on a daily basis. Some animals for 8 years now. Neither of us have ever had any signs of issues with DE, such as silicosis or trouble breathing, dizziness, chest pain, etc. I'm not saying you don't need a mask, I'm not you, but it's definitely not as dangerous as many make it out to be. Most of these people are just regurgitating info, much like the "chards of glass" statements and have never touched it before. Use DE for yourself, then you decide. I'm a proponent of both. 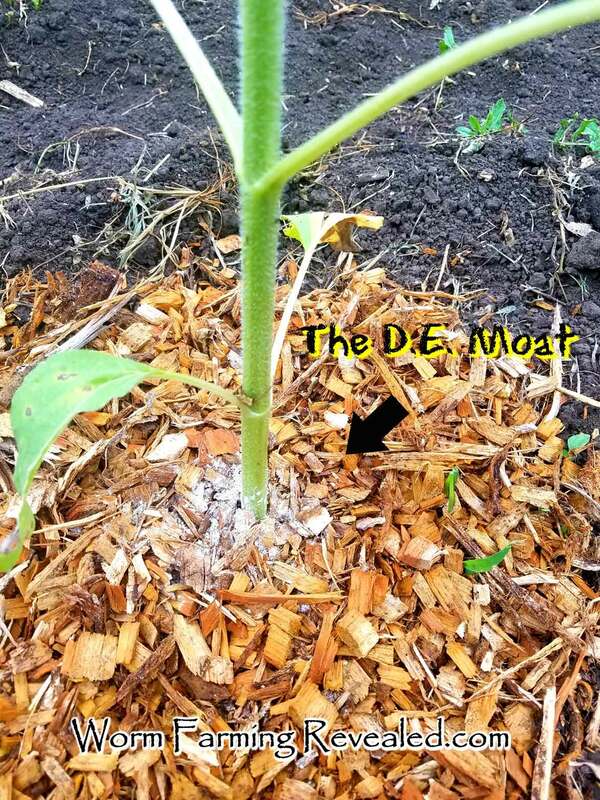 Understanding Diatomaceous Earth, but more importantly, using DE for yourself is an absolute before opining on the many different anecdotals on DE, especially when those people have never used it, seen it, felt it, or have seen it's benefits before. You'll find that Diatomaceous Earth has far more positive results than negative, and it WILL change your live as it did mine. I wouldn't say that I'm addicted to DE, but it definitely IS a staple in my life. Having several years of practice with DE and understanding Diatomaceous Earth in many aspects is a plus when writing this article for you. I would also encourage you to read the best book on the market with countless positive anecdotals written by TUI Rose, Silicca Savy Solutions or Going Green Using Diatomaceous Earth. I hope NOW you have a better understand of DE (at least as much as never being able to use the mineral) and why we like it so much. Like what you read so far? There's a whole lot more on this topic. Over 270 pages of worm composting information from making worm tea to raising 6 different worm species for gardening, fishing, or your recycling needs. Get it & Read it Today!